I didn't read as many books in May as I did in March or April - but I enjoyed each one and plan to read a couple of them again. I'm still trying to make time to relax AND make time to stretch my brain a bit. I began reading Kristen's blog, We Are That Family, a few years ago. I enjoy her focus on marriage and her very practical faith. 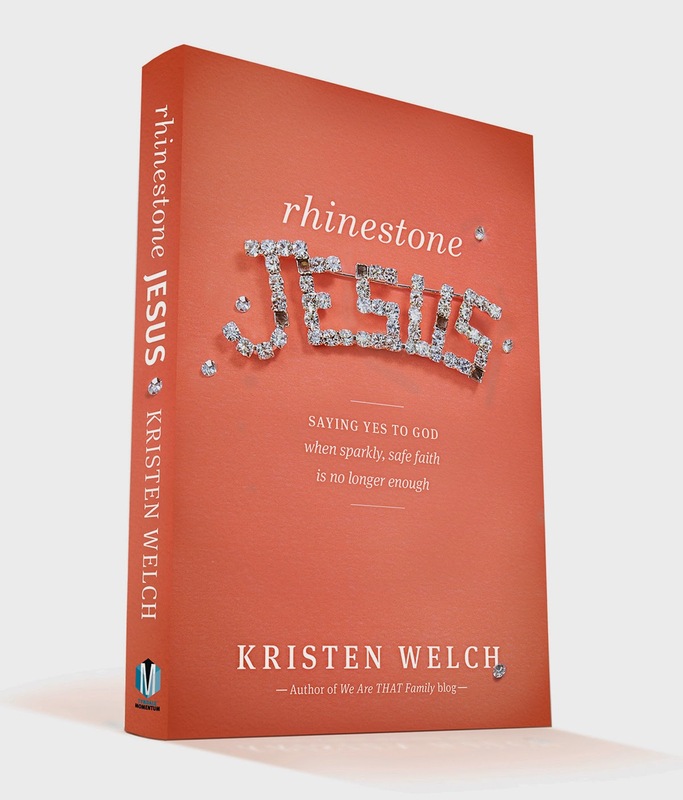 "Rhinestone Jesus is the story of one woman's journey from comfortably living a safe, "good-girl" faith that didn't cost much, to realizing that God was daring her to say yes to a bolder, more authentic, more dangers way. This story of spiritual adventure throws the doors wide open for any woman who's ever though of herself as "just a mom." Kristen will inspire and empower you to say yes to God right where you are - and stand amazed at how your life will shine." Stress Test by Richard L. Mabry, M.D. Another terrific read. I enjoy suspense and mystery. I enjoy medical thrillers. This one had a bit of all. Dr. Matt Newman is kidnapped as he leaves the hospital early one a.m. NONE of the events which follow make sense to him, but eventually, all the details come clear. Brain Candy. I will continue to look for more from this author. I've not read many of Francine's books. I've liked what I've read - all at the recommendation of another; The Last Sin Eater and The Atonement child. Mindee reminded me of this author - and I found this on my ipad - so I read it. This was a really interesting read. 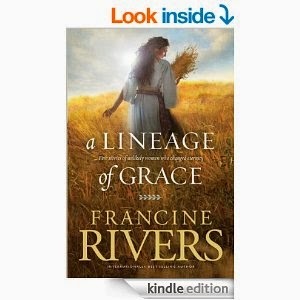 I enjoyed how she made the life lessons of Tamar, Rahab, Ruth, Bathsheba and Mary come alive. I didn't agree 100% with all her observations....but I enjoyed the read. Recommended. I am not familiar with Tom Davis or his non-profit ministry. If I had read some of his non-fiction work, I'm sure I would have been prepared for the emotional impact of this book. Wow! "Stuart is given a one last chance to redeem his career: A make-or-break assignment covering the AIDS crisis in a small African country. It is here that Suart meets Adanna, a young orphan fighting for survival in a community ravaged by tragedy and disease. But in the face of overwhelming odds, Adanna finds hope in a special dream, where she is visited by an illuminated man and given a precious gift." When Stuart and Adanna meet - both lives are changed. Tom's writing is raw and rough and vivid. It makes the poverty and disease in Africa "visible." 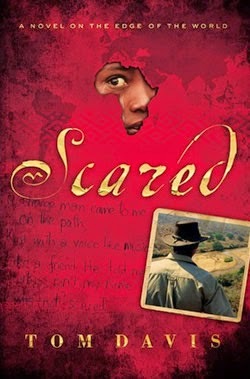 This is a book that will stay with me - and I don't think it's only because I spent early years in Liberia, West Africa. I plan to do some research into Tom Davis and read some more of his works. Not a Fan:Becoming a Completely Committed Follower of Jesus by Kyle Idleman. This book is fantastic! I didn't learn a lot of new things - but that is only because Jesus has been speaking this message to me clearly for two years. In fact the gospels screamed at me as I began studying through the New Testament this year. Are you a fan of Jesus? Or are you His follower? I wouldn't answer too quickly. This book is worth the read. You may find, when you honestly examine your heart, there are areas where you are a fan and not a follower. Kyle leads us to Scripture where Jesus clearly defines the relationship He desires with each of us. 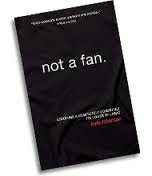 "Not a Fan," calls you to consider the demands and rewards of being a true disciple. With frankness sprinkled with humor, Idleman invites you to live the way Jesus lived, love the way He loved, pray the way He prayed, and never give up living for the One who gave His all for you." I can see myself reading this in a mentor group. It would make a great book discussion. It could be used in Sunday School or possibly a small group or summer study. I'm not sure there is a study guide, but there are several editions. It is a great book to give to new believers. I think the topics could easily be expanded to a discipleship class with the right teacher (word chosen deliberately over facilitator).